The sacred Aztec hallucinogen " Ololiuhqui " is perhaps the best kept secret for the outside world today, strange enough Ololiuhqui is widely used among the local Indians in Sierra Madre, Oaxacan Mexico. The local Mazatecas use the Rivea corybosa seeds for divination when the Teonanacatl Mushrooms are not available. Rivea corybosa grows easily and abundantly in the mountains of southern Mexico. Today in almost all the villages of Oaxacan you can find the Rivea corybosa plant and the seeds still serving the natives magic moments. The plant itself is a climber, like Ipomoea violacea ( Morning Glory) and called 'snake-plant' or `coaxihuitl` in the Nahuatl language. Seeds of the Rivea corybosa plant are very closely related to Morning Glories, it is a very rare but easily grown plant. It flowers abundantly, producing beautiful clusters of white tubular flowers. Ololiuhqui is the Nahuatl name for the seeds of the Rivea corybosa plant and means 'round thing', the seeds are small, oval and brown. Traditional uses : The seeds are used for their psychedelic purposes by the Aztec priests in order to commune with their gods. Because of the extremely fine line between effective and lethal doses, the ground seeds were only ingested by experienced persons.. Dosages of less than 10 seeds are usually employed for psychedelic experiences, which last for about 6 to 8 hours. The traditional method of preparation is to soak the finely ground or chewed seeds in a minimal amount of water for several hours, then consuming both the water and seeds. The properties are as sensational as those of Teonanacatl and Peyote. Hoffman reported in 1960 that he had isolated d-lysergic acid amide (LA) and d-isolysergic acid amide from the seeds of Rivea corymbosa and Ipomoea violacea. LA is very similar to LSD in its psychological and physiological manifestations. 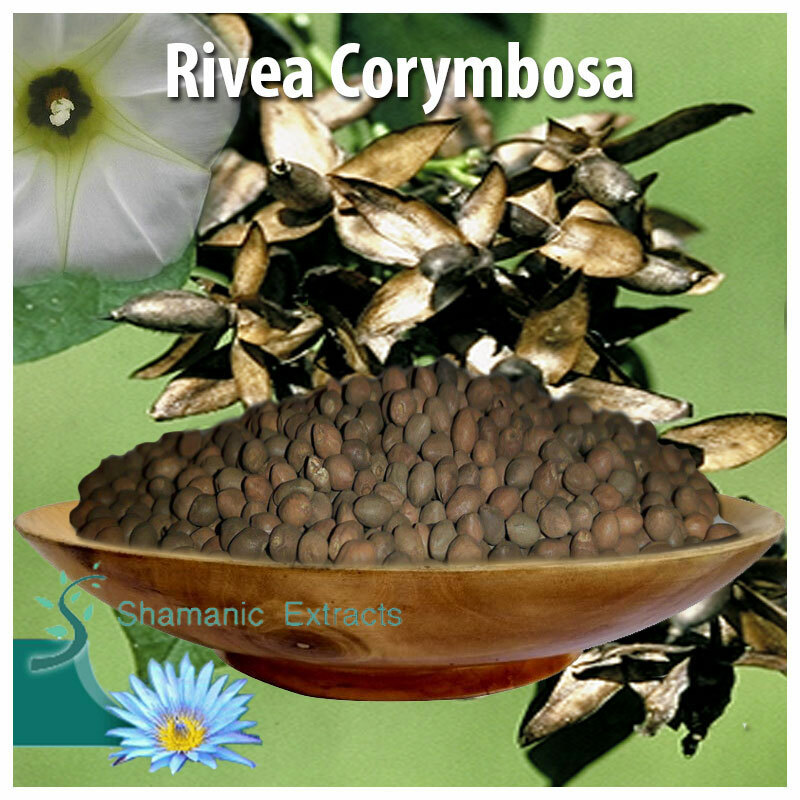 The seeds of Rivea corymbosa contain about 0.01-0.08% ergot alkaloids, including ergine, isoergine,chanoclavine and lysergol. ref : Rivea corymbosa (L.) Hollier fil. in Engler Bet. Jahrb. 8 (1893) 157. ref : Baker, J.R.1994 The Old Woman and Her Gifts: Pharmacological Bases of the Chumash Use of Datura. Curare 17:253-276 ref : Schultes and Hofmann 1992 Plants of the Gods: their Sacred, Healing, and Hallucinogenic Powers The seeds offered here are strictly for horticultural use and should not be ingested in any way as this may result in serious psychological troubles for the pleasures seakers. Traditional use is always ritualistic and far from recreative. 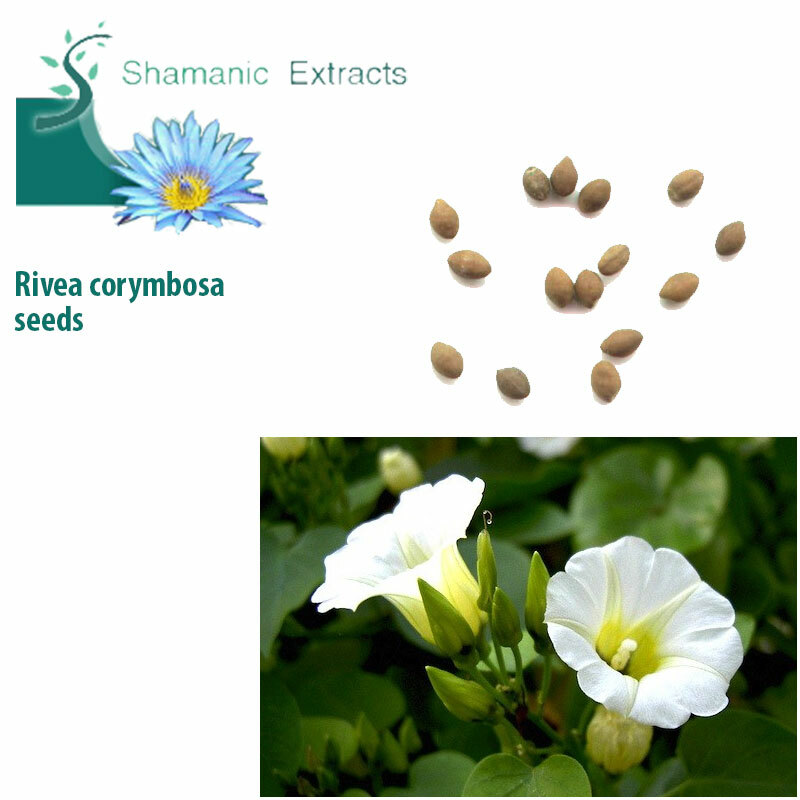 Share your experience about Rivea corymbosa with other customers. Submit your tips or thought on this product, be detailed and specific.